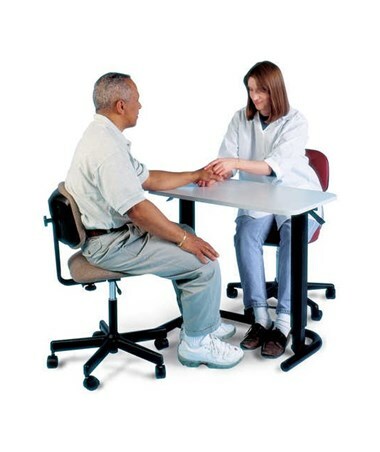 The Hausmann Industries Spring Power Hand Therapy Table is a heavy-duty and compact device made with a small form factor to save space but yet has enough room for patient-therapist requirements. Robust Construction. 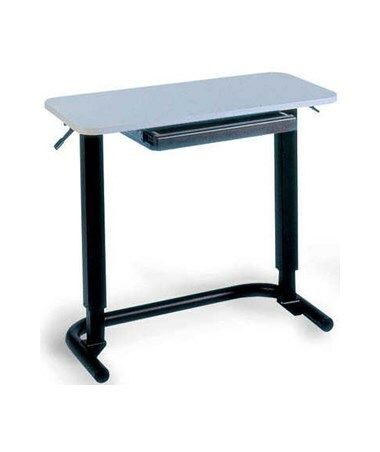 Made with a Folkstone gray high-pressure laminate ¾" top, the Spring Power Hand Therapy Table that is coated in a black epoxy heavy-duty dual steel uprights and "U" shape base for optimal stability. The table is equipped with (4) leveling legs that are spring-powered that can easily be adjusted with dual hand control levers. It has a weight capacity of 75 lbs. Patient Comfortability. 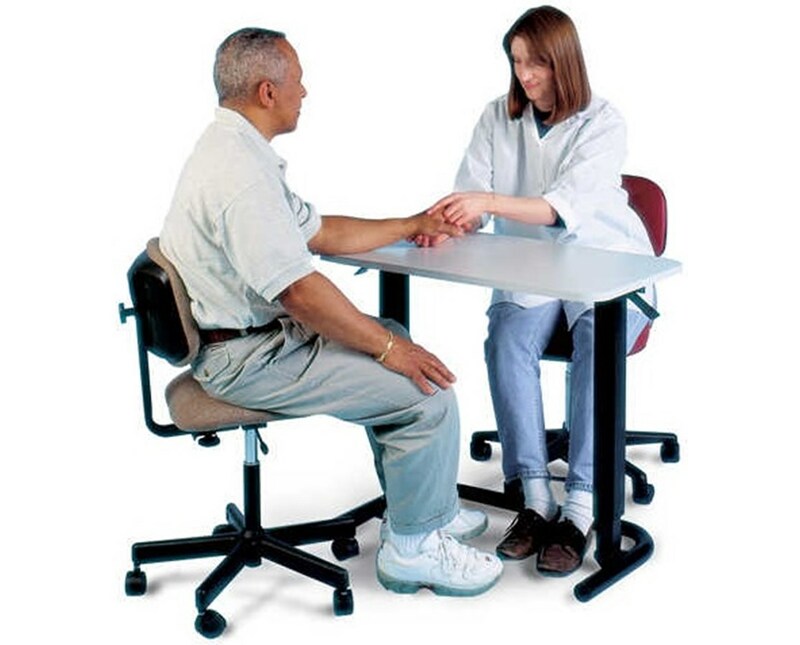 Because of its 14" height range, the Hand Therapy Table promotes patient comfort which allows both the patient to sit on a chair or on a wheelchair and stand during exercise, occupational and rehabilitative hand therapy. Weight Capacity of 75 lbs.